UPDATED: Thu., Oct. 25, 2018, 4:57 p.m.
How will retailers win this holiday season? That is Target’s answer starting into the holiday season as it rides strong earnings, boosts its toy inventory and expands its customer service efforts nationwide. The brick-and-mortar behemoth is betting that by leveraging its reach to get shoppers their items faster than ever, free two-day shipping or same-day delivery will become as synonymous with the Target experience as steering a bright red shopping cart through the aisles. “Target has never been better positioned to deliver on holiday than we are right now,” Target CEO Brian Cornell told reporters on Tuesday. The company has reason to be optimistic. In August, the company announced sales growth at a 13-year high, thanks to demand for toys and home goods. Online sales also rose 41 percent. Plus, analysts are widely expecting record-breaking holiday sales this year fueled by a strong economy, a historically low unemployment rate and upward-ticking wages. Those factors have so far outweighed concerns that the tariffs and an ongoing trade war could sour holiday spirits. Meanwhile, Target is poised to benefit from bankruptcies and store closures among some of its main rivals, including Sears, which filed for Chapter 11 bankruptcy protection last week. As it enters the first holiday season without Toys R Us, Target announced nearly a quarter-million square feet of new spaces for toys in more than 500 stores, as well as remodeled toy departments in more than 100 stores. The company is also adding more toys to its kids gifting catalog and is installing climbable, huggable toys at stores across the country. No more judging a toy based on a sealed box: Target wants to let kids assess a Lego slide or life-size plush lion for themselves. The company is in the midst of a major store remodeling plan that will hit more than 1,000 locations by 2020. Redesigns in beauty departments, for example, include lighting more akin to a makeup store. Cornell said Target’s remodeled stores will be particularly crucial in neighborhoods where a JCPenney or Kmart store, for example, have closed. The company also pledged same-day delivery in 46 states with Shipt. In December 2017, Target bought the grocery delivery service for $550 million and launched its same-day delivery services in 70 markets by February 2018. This fall, the service will expand to more than 200 markets. Guests can place orders for more than 55,000 products through the Shipt app or online. Shipt personal shoppers will complete orders at Target stores and deliver them to customers’ doors. 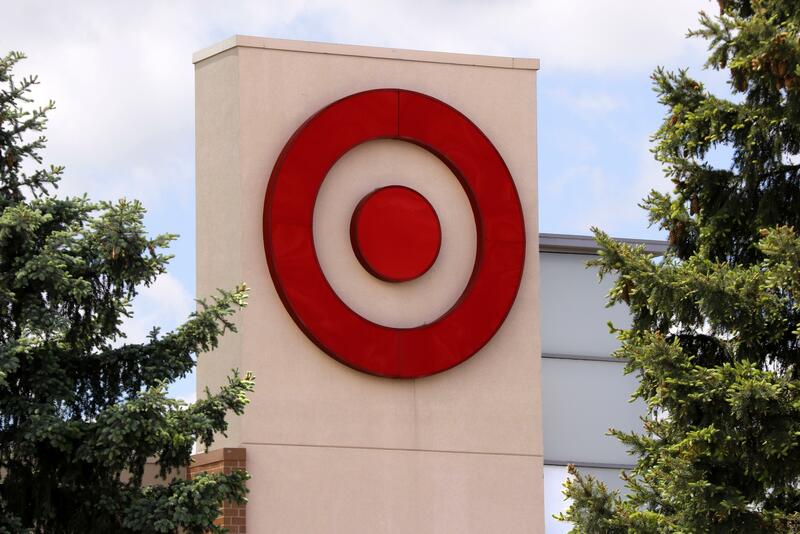 Key to Target’s success with Shipt, Cornell said, is leveraging the company’s existing brick-and-mortar store base to complete what is often dubbed “the last mile” of delivery. “It gives us great agility and speed to meet the needs of today’s guests,” Cornell said. The company is also expanding drive-up services to nearly 1,000 stores by the end of October. Guests order their items through the Target app and a Target employee will bring them to the car. Cornell said that five or six years ago, consumers had one main option to shop Target: to go to a physical store. Now, ease means drive up, order pick up, delivery and more. Published: Oct. 25, 2018, 2:14 p.m. Updated: Oct. 25, 2018, 4:57 p.m.